I can’t read the date he joined Twitter. Is it February 2019? Having viewed bits of the video on Fetzer's site, and believing it to be fake . . . down here in NZ one has to be weary of the grief police. Especially when you get hit with this video of a school principal being interviewed, about three of his students being victims. antipodean » March 23rd, 2019, 3:55 am wrote: Having viewed bits of the video on Fetzer's site, and believing it to be fake . . . down here in NZ one has to be weary of the grief police. Especially when you get hit with this video of a school principal being interviewed, about three of his students being victims. This interview is ust bad. Really bad. This guy’s remarks sound just like the lines we hear over and over again in these psy-ops. And of course the journalist with his dumb grin throughout this pitiful exchange . . .
another father is officially classified as missing. Well damn . . . I’m trying to wrap my mind around exactly what it is we are supposed to think of this. For example, are they slowly and meticulously removing bodies from the scene—such that identification of the victims is still ongoing? Surely not. Or perhaps the implication is that some victims had their faces blown off, and they are having to use DNA to verify the identities? The “still missing” component just seems to get thrown in to these stories whether the context allows for it to make sense or not. On another (side) note—the local florists must be banking big time on this one. I seriously don’t want to harp on this “point,” as it may not be one (worth making) at all. But, are the flower shops there so heavily stocked that demand can be satisfied for an allegedly UNPLANNED event like this? Or I wonder if some generous mourner had plane-loads sent via FedEx the moment he heard of this? Perhaps floral arrangements are now part of the “active shooter drills”? Has anybody been able to locate a higher quality version of the video than is commonly available? Supposedly one exists. One new error I noticed in the video: go to 9:08-9:09 and go frame by frame: at one point the spent bullet shell instantaneously jumps from a lower position to a higher position, a clear impossibility. Seeing as this psyop could be termed as being in my own back yard, it's important to be able to identify the possibility of real existing people no longer existing. The School website from my above post has named the now deceased students. as well as two other fathers (of other students) in hospital, recovering from wounds. Interestingly the school's principal of ten years, featured in the above video (from my post above) resigned from the school a couple of months ago. Relocating to Auckland, so it could be said he's after more money. Pokerniko » March 22nd, 2019, 9:34 pm wrote: I can’t read the date he joined Twitter. Is it February 2019? Is it common practice in New Zealand to excuse Muslim students from school for Friday prayers? Because so far as I know, that is not even the case for schools in most Muslim countries. Also, why do we have a couple of guys standing at the entrance of the mosque when everyone else is praying inside? Normally these rituals are performed in unison, and you wouldn't have people separated from the rest of the crowd standing at the door as if they're on a cigarette break when the ritual is taking place. quote tanertan » March 25th, 2019, 10:31 am Is it common practice in New Zealand to excuse Muslim students from school for Friday prayers? On that particular Friday a large proportion of students were off school anyway. To attend the school strike over climate change. Last edited by Pokerniko on Mon Mar 25, 2019 4:20 pm, edited 1 time in total. I'd just like to say that memoryhole's find - that ammo clip - that's pure gold. No more proof needed. How did that hand get there? They're just having good fun setting this up, aren't they? The omnipresent shoes included ofc. Does anyone know if that LIVE4 logo on the video is normal? I searched for this app’s streaming videos, and could't find any with that logo on it. Or, perhaps they put that logo just to give us the illusion of something more "official,” like a TV or something? Could that someone be a member of the Bush family, as in the G. W. Bush clan. The same Bush clan that is / was involved in the secret society mentioned earlier in the thread Skull and Bones. "W" was a man who's family was synonymous with Skull and Bones by the time he arrived on Yale's campus as a Freshman, but it has been whispered that many thought his family would agree to his not being "Tapped" as George was a rather... "distractable" young man. But after joining up with the family club, joining the cheerleading team and generally raising hell, "W" ended up as the third Bonesman to occupy the office of the President. 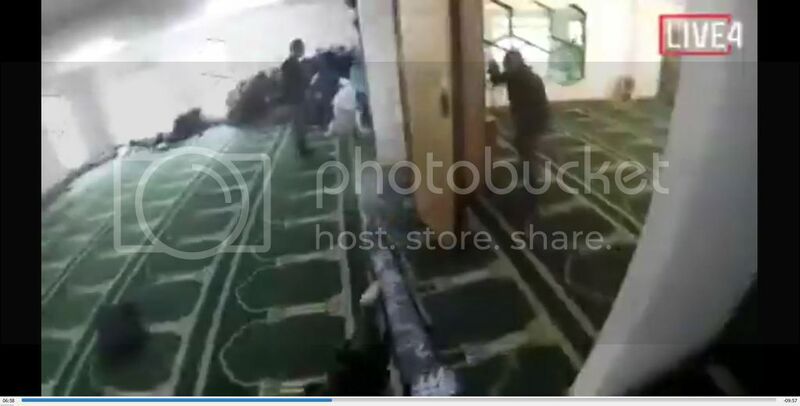 On 15 March 2019, the mosque, along with the Al Noor Mosque, was one of two targeted by the Christchurch mosque attacks. Seven people at the Linwood Avenue mosque were initially reported killed, with others injured. Survivors described a gunman opening fire on praying people, with ten people later reported killed, three of whom were outside the mosque. The address of the mosque at Linwood is 322A Linwood Avenue, Linwood, Christchurch, New Zealand. 322 backwards. 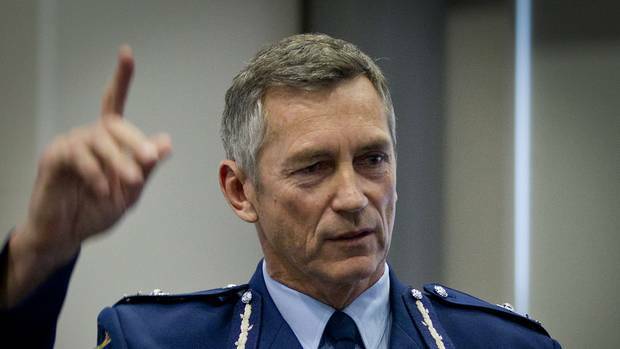 The man in charge of police operations (Christchurch mosque attacks) is a certain MIKE BUSH. If we look at his background history, in my opinion, it appears very sketchy and while no expert in photo analysis and will gladly stand to be corrected if the following interpretations are incorrect. One of two deputy commissioners. He joined the police in 1978 and overseas posts include South East Asia liaison officer. When based in Bangkok he was the first New Zealand official to reach devastated Phuket after the Boxing Day tsunami which swept through in late 2004 and was made a member of the New Zealand Order of Merit. Bush was previously the District Commander for Counties Manukau where the Prevention First model was tested. He has also led a number of high profile cases, including the abduction of Chinese girl Xin Xin Ma in 2008, and has solved every homicide he has worked on. RECOGNISED: Superintendent Mike Bush was honoured for the way he lead the investigation into the abduction of a five-year-old girl. The return of a missing five-year-old girl was reward enough for the officer in charge of the investigation, so it was an added bonus when he was honoured for the part he played. Counties Manukau police superintendent Mike Bush led the investigation into the abduction of Xin Xin Ma in July last year before he took up his current role. The girl was snatched from outside her home near Albany by a masked man prompting an exhaustive search for her. Xin Xin was found five days later in the cupboard of an unoccupied home. Sounds all well and good, however, on analysis, it leads me to question why would a newspaper article editor add an image of the officer in question many years later? The Exchangeable Image File format (commonly called Exif or EXIF) is typically used by camera manufacturers to identify information about the camera's settings used for the photo. It typically includes timestamps, camera make/model, lens settings, and more. With the exception of a few high-end cameras, cameras do not generate ICC Profiles. ICC Profiles are added by applications as the file is edited or converted. Many applications -- including Adobe Photoshop -- will default to adding a color profile to the picture. Within the ICC Profile is the "Profile Date Time" field. This indicates when the profile was initially generated. This does not indicate when the profile was attached to the file. The Profile Date Time field must predate the picture's last save. In most cases, the ICC Profile's date predates the photo by years since it was generated long before the photo was captured. Primary Platform	Apple Computer Inc. So Profile Date Time =	[b]2012:01:25 03:41:57 the alleged abduction award article was published 05:00, Oct 28 [b]2009 some 3 years before the PDT. In most cases, the ICC Profile's date predates the photo by years since it was generated long before the photo was captured. A file digest is a short digital summary of a file. When evaluating evidence, an analyst needs some method for verifying that they have the right data. This ensures that they are analyzing the correct file and not some file variant that may have been altered. There are different ways to summarize a file. The most common methods are based on meta properties and cryptographic checksums. Files are associated with timestamps that denote when the file was created or modified. These file timestamps are independent of the picture's metadata timestamp. They indicate the latest possible time that the file could have been modified. Web servers typically report timestamps using the HTTP 'Last-Modified' field. This field provides the time associated with the file on the server. However, dynamic web pages may report the current time or the time when the content was cached. Timestamps are typically unreliable for determining when a picture was created. The simple act of copying a file or viewing a file may update timestamps. And downloading a file to your computer may set the timestamp to the download time and not the Last-Modified time. In addition, computer clocks may be inaccurate (usually by seconds or minutes) and it is trivial for users to intentionally backdate a file's timestamp. However, timestamps can be very useful because (assuming they are not intentionally altered) they indicate the latest possible time that the file could have been modified. Internal metadata timestamps that are dated after they appeared on the computer system may be indications of tampering. And if a file appears with different filenames and different timestamps, then the oldest timestamp may be related to the original filename. 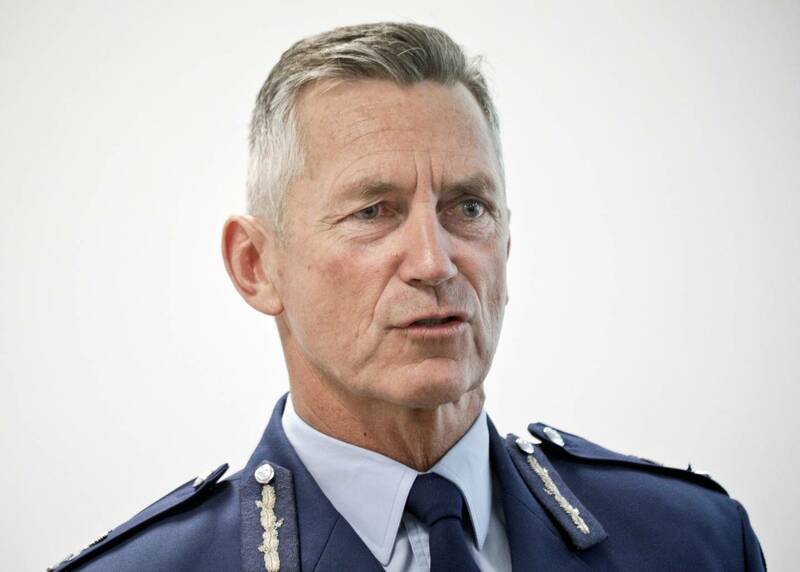 Bush joined the New Zealand Police in 1978, working at both CIB and Uniform Policing. As he progressed through the ranks he was appointed to senior roles, including Liaison Officer for South East Asia. This position was held by Bush at the time of the 2004 Boxing Day tsunami. He was the first New Zealand official on the scene of this incident, arriving on Phuket to assist with relief. He was made a Member of the New Zealand Order of Merit (MNZM) for his relief work.] He was awarded the New Zealand Special Service Medal (Asian Tsunami) recognising this work. The 2013 recorded crime rate was the lowest in 29 years, police say. Statistics New Zealand Criminal figures for the year showed offences dropped by 4.1 per cent in the last calendar year, with 15,602 fewer crimes recorded last year than in 2012. 2014-02-25 01:29:04 which ties in with the publishing date not some 10 years late as in the abduction award story above. Deputy Police Commissioner Mike Bush will move into the top job in April, taking over from Peter Marshall. Mr Bush caused controversy in 2013 after praising disgraced officer Bruce Hutton at the Crewe murders investigator's funeral, saying he had integrity beyond reproach. Meaning it was updated /uploaded 11 days prior to the shootings. 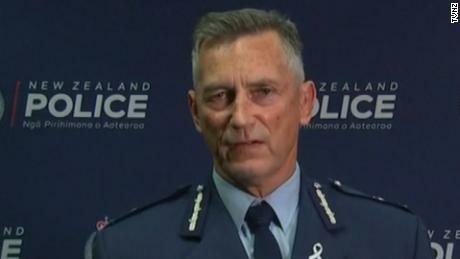 New Zealand Police Commissioner Mike Bush announced authorities have four people in custody following mass shootings at two mosques in Christchurch. Profile CMM Type	Adobe Systems Inc. Profile Creator	Adobe Systems Inc. Introducing the bravest CGI Sim Character of all time! After 20 seconds of non-stop shooting, including 9 shotgun rounds and 19 assault rifle rounds, this brave soul decided to stand firm in one spot. Maybe he was in the middle of something important? I'm not even going to bother talking about the blob of sims piling on top of each other in the corner. My guess would be that people (animals for that matter) would scatter in all directions in a actual life and death situation, however that would probably be a lot more work for the animator(s).